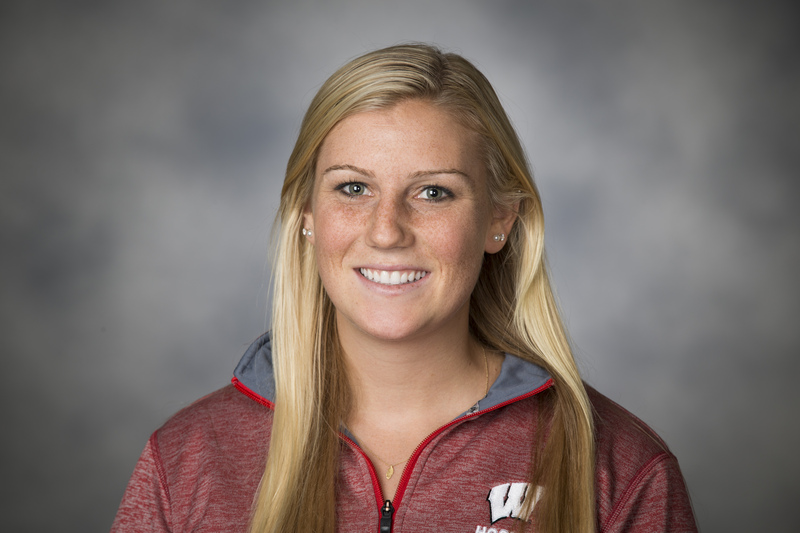 Annie Pankowski’s hat trick gave the second-ranked Wisconsin women’s hockey team a 8-0 win over St. Cloud State and a sweep in the opening round of the WCHA playoffs on Saturday. Pankowski, who has been named one of three finalists for the Patty Kazmaier award, now had 21 goals on the season. She is the third Badgers player to score 20 goals in each of her four seasons, joining Hilary Knight and Meghan Duggan. Pankowski’s three goals left her with 199 points in 148 career games. One more point, Pankowski will become the sixth Badgers player to reach 200 points. With the win, the Badgers head into the WCHA’s Frozen Faceoff semifinal against 10th ranked Ohio State on Saturday in Minneapolis. Top-seeded Minnesota meets Minnesota-Duluth in the other semifinal with the winners to meet for the WCHA Tournament Championship. The Badgers are looking for their fourth playoff title in the last five years. Wisconsin coughed up a 2-1 lead and fell to St. Cloud State 4-2 at the Dane County Coliseum on Friday night. The win gives the Huskies at least a share of the WCHA’s McNaughton Cup. The Huskies (21-13-1, 18-9-1 WCHA) can do no worse than tie with Minnesota or North Dakota, the teams closes to them with 1-game left to play. St. Cloud State scored three times in the third period, with Nick Jensen scoring the game-winner at 16:25 of the period. Joe LaBate and Tyler Barnes scored for Wisconsin (16-12-7, 12-8-7), which dropped the Badgers to 0-6-1 in the last 7-games against the Huskies.